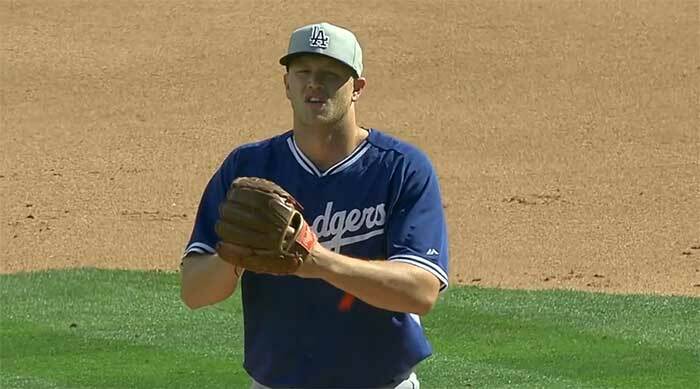 It probably says all you need to know about spring training that for the second time in the first week of camp games, I’m choosing to ignore a less-than-impressive start from Clayton Kershaw in order to focus on a Rule 5 pick who has almost no chance of making the team. Spring training is just the best*. (*Worst.) It’s still March 3, and I still don’t really care that much about results from guys with long histories of success. Kershaw will be there when it counts. But Rosin, well, we’ve been over how overstuffed the Dodger bullpen is, how there’s potentially — if not likely — a way that both Paco Rodriguez and Chris Withrow could miss out on the Opening Day roster because of all the guys with guaranteed contracts. For Rosin, who has to be on the active roster or be offered back to his previous team, it’s almost the worst possible situation. Then again, if he keeps doing what he’s doing, we’re going to have a fun conversation. Last week, Rosin struck out five Diamondbacks in two innings, including Paul Goldschmidt, Aaron Hill, and Martin Prado consecutively. Today, he followed that up striking out three A’s in three scoreless innings, including Josh Donaldson — arguably the best player in the AL outside of Mike Trout & Miguel Cabrera last year — and John Jaso. The usual caveats apply: two appearances. Five innings. March 3, etc. I still don’t see how he’s going to make the roster, and I’m not even convinced he should make the roster at this point. But I do know that on a pitching staff without a lot of questions, it’s fun to have a story, and it’s even more fun when that story is an unknown Rule 5 guy trying to beat out millionaires.